Less than 5x available, further are coming. 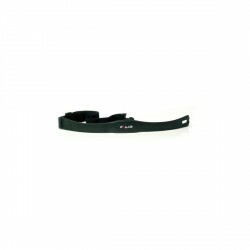 The optional Kettler Polar heart rate receiver is required for pulse measuring. 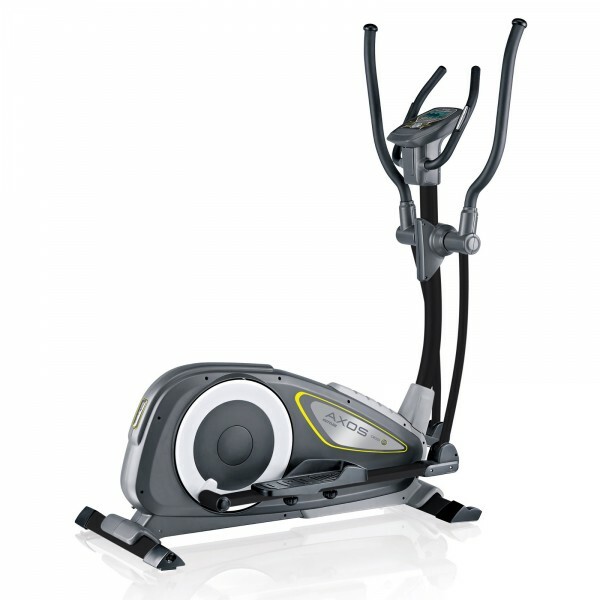 The Kettler elliptical cross trainer Axos Cross P is ideal for starting and leisure sportsmen. The Kettler elliptical cross trainer Axos Cross P can be loaded up to 130 kg and is ideal for intensive workouts as well. The balance mass of 14 kg makes training motion smooth and joint-gentle. Resistance of electronic magnetic brake system can be set in 16 levels, the Kettler elliptical cross trainer Axos Cross P offers enough challenges even for increases in performance. The Kettler elliptical cross trainer Axos Cross P: fitness equipment for the whole family ! The Kettler elliptical cross trainer Axos Cross P is equipped with 12 varied programs, one of it with pulse control for very effective workouts. Heart rate is measured by integrated hand pulse sensors of the Kettler elliptical cross trainer Axos Cross P or a provided earclip. 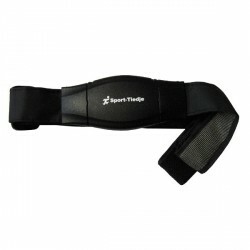 An optionally available chest strap can be used as well. The LCD display shows data like pulse, calory consumption, pace, etc.. Furthermore, the Kettler elliptical cross trainer Axos Cross P informs when leaving upper pulse limit by a visual warning signal. In addition, the Kettler crosstrainer has a user memory for up to 4 persons, so that whole family can exercise on the Cross P and recall personal settings. Super Preis-Leistungs-Verhältnis Aufbau etwas mühsam. (Ca. 2 Stunden) Die Haltegriffe mussten zusätzlich verstärkt werden, damit nicht alles so wacklig war. Dafür ist das Gerät sehr Leise und funktioniert einwandffei. Es war ein Geburtstagsgeschenk, habe mich sehr gefreut Bin sehr zufrieden mit diesem Crosstrainer. Die Lieferung lief problemlos. War auch dank der Hilfe meines Freundes super schnell aufgebaut. Bin echt sehr zufrieden und werde den Crosstrainer sowie Sport Tiedje gerne weiter empfehlen. Kettler elliptical cross trainer Axos Cross P add to comparison list.